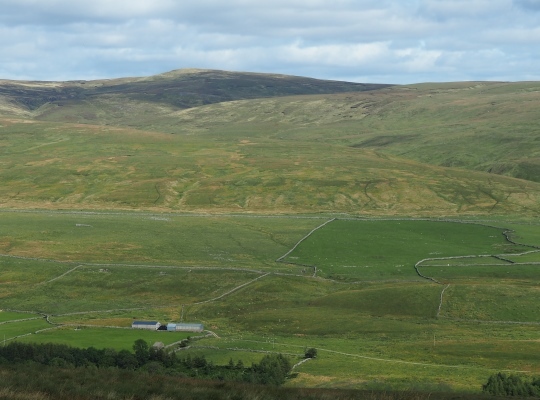 Hugh Seat is one of the triumvirate of fells, including High Seat and Archy Styrigg, that together form the eastern side of the Mallerstang valley. Hugh Seat is named after Sir Hugh de Morville, one of the four knights who gained lasting infamy for the murder of Thomas Beckett in Canterbury Catherdral in 1170. Sir Hugh, as Lord of Westmorland, was also the lord of the manor of Mallerstang. The hill’s connection with Sir Hugh is even more explicit on earlier maps where the hill is named Hugh Seat Morvill Hill. The hill has historical associations with another lord, or in this case lady, of Westmorland. Lady Anne Clifford inherited huge northern estates from her father following a lengthy legal dispute. These possessions included numerous castles in the Eden valley. 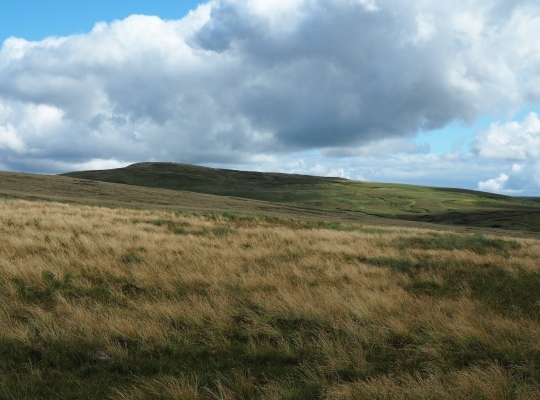 Her regular travels between her family seat in Skipton and her Westmorland properties inspired the creation of the 100 mile long distance walk called the Lady Anne’s Way. Just below the summit of Hugh Seat are the remains of Lady’s Pillar, a stone pillar typical of the area. The pillar is apparently inscribed with the characters, ‘AP1664’, which stands for Anne Pembroke (she was also Countess of Pembroke) and the date the pillar was erected and with an Ordnance Survey benchmark. The only inscription I noticed on my last visit read ‘FHL1890’ which apparently refers to the date the pillar was rebuilt. The pillar certainly makes a more satisfying place to halt than the actual summit of the fell which is marked by a sharply angled fence. 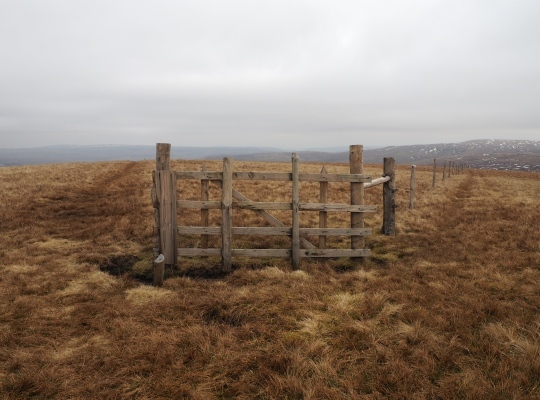 The fence itself marks the old county boundary between Westmorland and the North Riding and the modern day boundary between Cumbria and North Yorkshire. 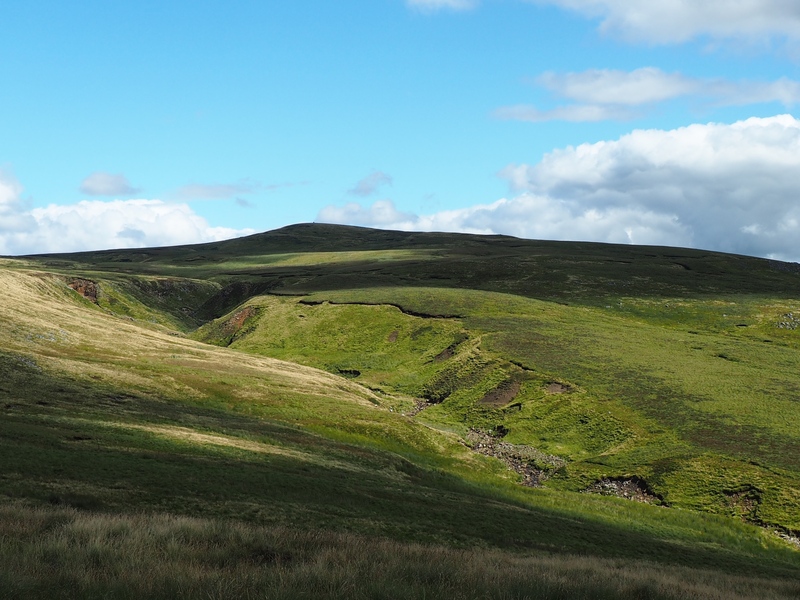 Geographically of more importance is the fact that Hugh Seat is situated just above the source of the River Eden, an area marked as Eden Springs on the Ordnance Survey Explorer map. 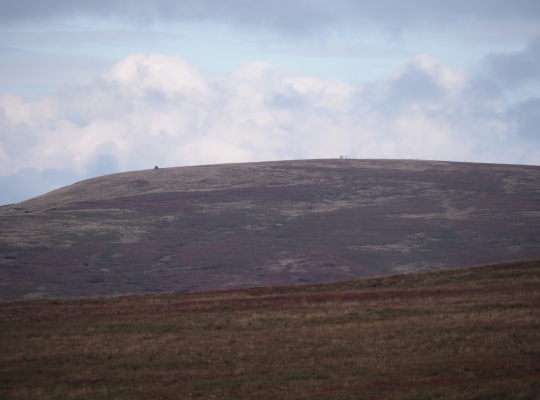 As with all the Mallerstang summits the long distance views are extensive. The Three Peaks are all well seen with the outline of Whernside more striking than the long high brow that it normally appears as. 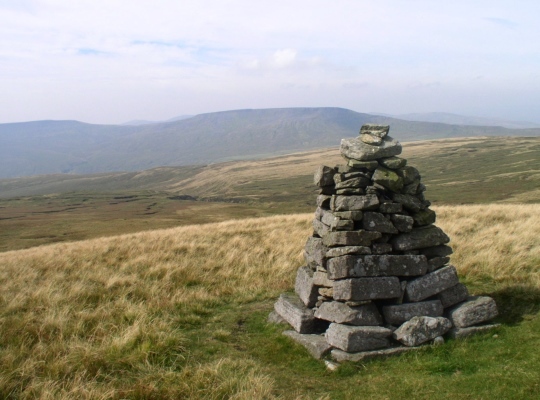 On clear days the views extend westwards to the distant Lakeland Fells and northwards to Cross Fell, the highest summit in the Pennines.